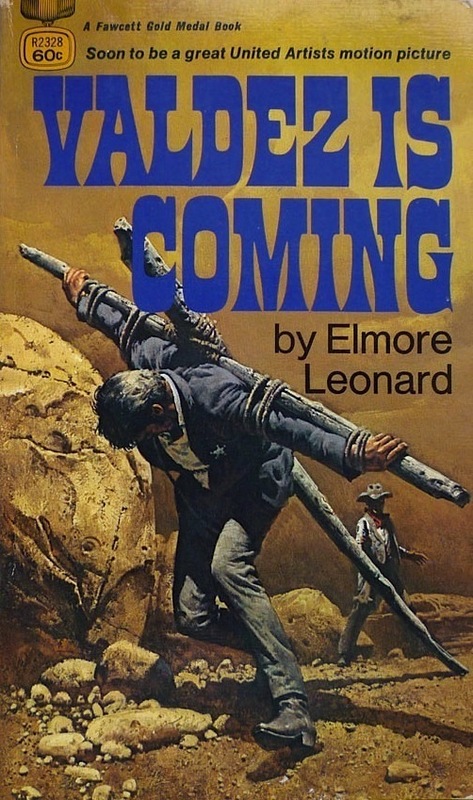 Valdez is Coming is one of two Leonard novels Gold Medal published when the author resumed his (fiction) writing career in the late 1960s (the other being 1969's The Big Bounce), but it actually started life almost a decade before: the first chapter of the novel was originally a short story, "Only Good Ones", which appeared in Western Roundup at the tail end of the first phase of Leonard's career (when he was writing nothing but westerns) in 1961. (A tip of the hat to Vintage Hardboiled Reads for that info.) Stylistically, though, it's recognisably the work of the Leonard who penned the likes of The Big Bounce and Mr. Majestyk and The Hunted in the late 1960s and throughout the '70s, rather than the Leonard who penned the early westerns: lean, no waste, and with a distinct lack of modifying adverbs. Certainly Leonard himself thinks so. In a 2009 Goodreads interview he agreed that his style had changed and that "it started with one of the last westerns – I was trying to get a little more humor in it, but also to be more spare in the writing", adding: "[Previously] I was using pronouns and making a lot of noise with the writing." That same year he told The Barnes and Noble Review's James Mustich: "...it was when I was writing Valdez is Coming, I began to see something a little different, that I could get into the character not simply as a hero, but as an individual. That helped me. From then on, I looked more at my characters as human beings, not just this guy wearing a badge, and so on." He also told mystery novelist Jean Henry Mead in a separate interview that he felt Valdez is Coming was his best western novel – a view endorsed by George Pelecanos (among others), who wrote that it was his "favorite Leonard novel, a perfect piece of lean, evocative writing, one hundred and thirty six pages (my Bantam paperback edition) [note: 156 pages in the Gold Medal edition, excluding prelims] of prose containing not one wasted word". Of the Leonard novels I've read, I wouldn't say Valdez is Coming was my favourite, but it is bloody good. 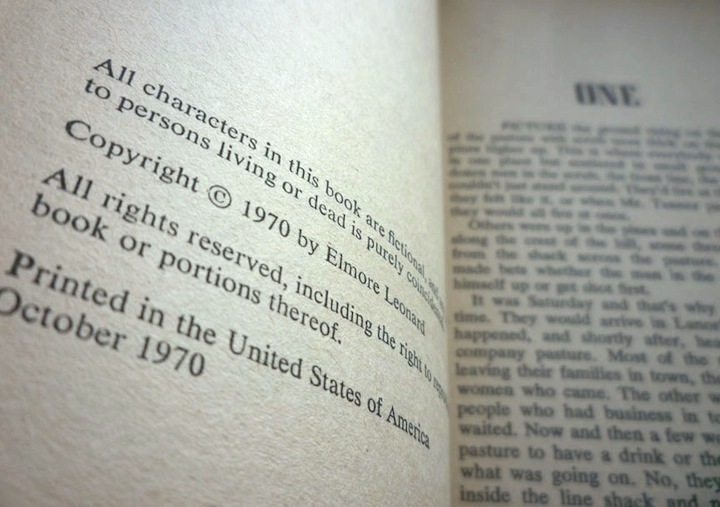 The opening chapter is – as you'd expect, given its origins – essentially a complete story in itself, centring on a standoff at a shack in the scrub country outside the town of Lanoria – a standoff which ends when Bob Valdez, the Mexican constable of Lanoria, is forced to kill the black man mistakenly identified by horse trader and gunrunner Frank Tanner as a murderer and army deserter. Thereafter, figuring Tanner and the other Lanoria grandees owe the man's pregnant Native American widow restitution, Valdez goes to see Tanner and asks him for money; Tanner's response is to have his men, including his segundo (second-in-command), beat Valdez and send him on his way. And when the stubborn Valdez comes back again, he's dealt with even more harshly (the Gold Medal cover art will give you an idea how harshly). 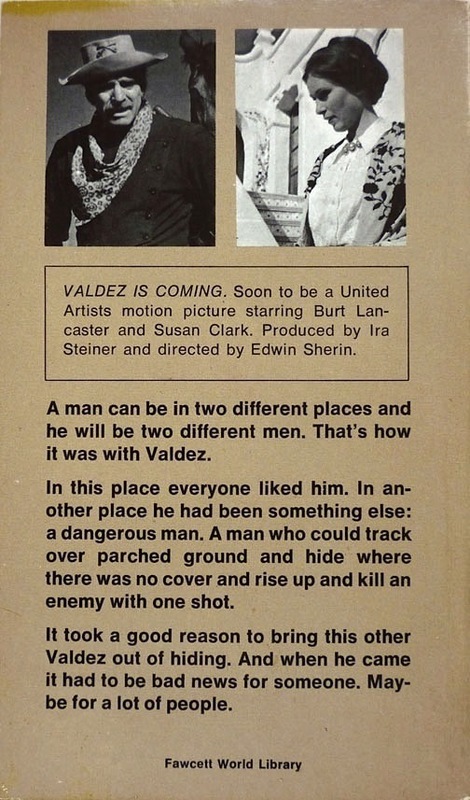 That Valdez's subsequent actions encompass the kidnapping of Tanner's woman, Gay Erin, and the killing of so many men it's hard to keep track (although Valdez does) – and that they in turn mean hardship for his horsebreaker friend, Diego Luz and his family – might lead those unfamiliar with the novel to believe that it is in essence a straightforward tale of revenge. But there's much more to the novel than that. Valdez's motivations – indeed the motivations of all of the major characters, however lightly sketched – are complex and not easily definable, touching on themes of, variously, justice, faith, mortality, hope, determination, friendship, companionship – even, at one stage, alcoholism (a subject Leonard, who around this time was drinking heavily, would return to in 1977's Unknown Man No. 89) and domestic violence. 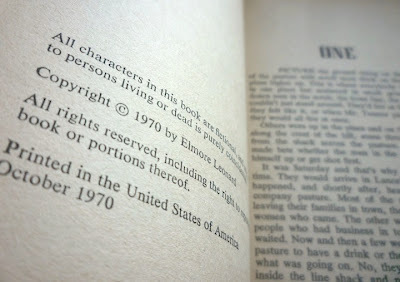 As Leonard puts it at the start of chapter two: "A man can be in two different places and he will be two different men. Maybe if you think of more places he will be more men, but two is enough for now." And all this in 156 pages – or 136 if you're George Pelecanos – "of lean, evocative writing". In fact, compare Valdez is Coming to some of the westerns Leonard penned in the 1950s and you'd almost think they were the work of two different writers – as we'll discover, in the next Elmore Leonard post.